It’s time to renew your Minneapolis Modern Quilt Guild Membership! This year we are switching from paper forms to online forms. This will help us keep better records of payment and also allow you to pay with a card. The membership fee is $40, as it was last year and can be paid online through Paypal. You can also pay by check or card at the meeting, but the form has to be filled out online. Once the form is submitted it will automatically direct you to the payment page. We also have a feedback form that we would like you to fill out to let us know what you would like to do in 2016 and what we can improve on this next year. Please take the time to fill this out, as we will be using this information to drive many decisions this year from speakers to workshops, and meeting content. Let any of us on the board know if you have any questions! 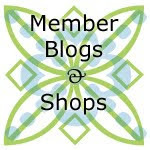 Visit our Twin Cities area fabric and quilt shops page. All meetings start at 7:00pm at the Textile Center. See our Calendar & events page for more.